I have this in for some love. I have been through an ORST50 (number 49) - one with Pennine trannies and RS tag board, and this week another ORST50 (number 70) which has Partridges and a pcb. 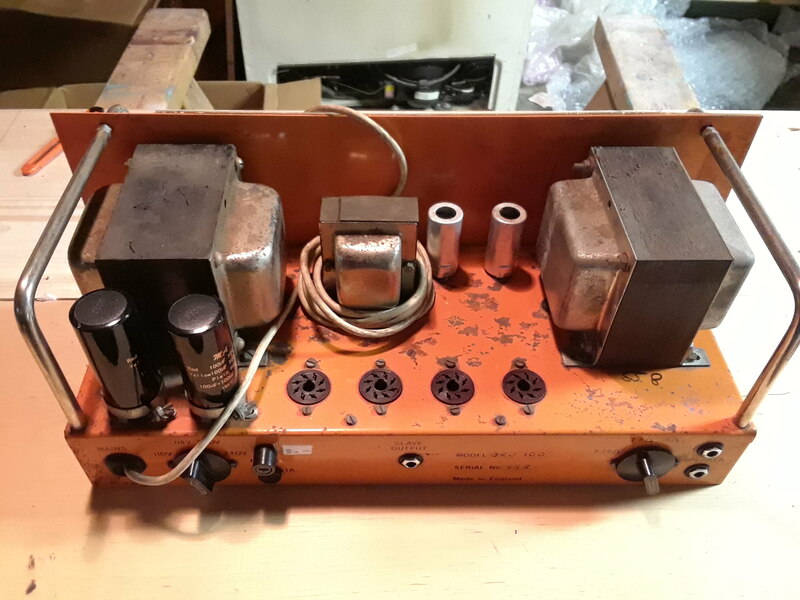 I also have an OR100 (setting it up for Andy Powell prior to the Wishbone Ash Autumn tour, when they are returning to an Orange back line) which is almost identical to the later ORST in that it has exactly the same pcb (HH is printed on the board) same choke but chunkier Partridge trannies. Last year I did a service and recap on a pics only OR120, but IIRC that was a steel panel (unlike the plexi panel on the one above) it had Parmeko lay down trannies (the ones with the chrome plated covers) and the mid lift inductor. Oh and I have a late 72/early OR120 too. Of all the ones I think the pics only was the one that I liked best, with the Pennine equipped 50w tying with the OR100. I have some pics on my phone. Are you going to post pics too? 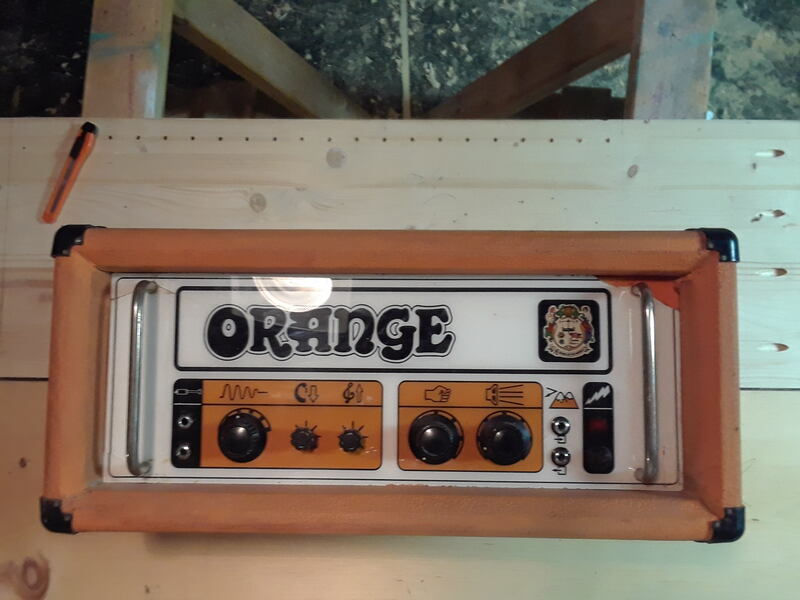 I speak with Chris through email and he has been telling me about the Orange amp. Hit me up on the side as this one is a suspect OT as well but I'm not sure this is the case. Hmmm interesting as I've been sent photos of a pix only with a corner of the plexi missing. The Partridges in these are pretty chunky, and I guess that explains the lag of PS sag and the wide bandwidth of the OT. They are fatter than the Hiwatts I have had. The OR100 is the pick of the bunch so far, mainly as it has much more punch and headroom, responds to input load (single coils vs humbuckers) and the Depth and Drive controls are much more functional. Both the ORSTs have (the same) odd Drive controls that don't seem to do a lot. The Pennine equipped ORST seems to have a lot more going for it than the Partridge version, I am blue printing both amps but at first pass they are very similar just one is RS tag the other PCB. Neither have NFB whereas the 100 has NFB wire to the OT as usual (27k bypassed with a silver mica) to the 16ohm tap. I will upload links to a bunch of pics soon. Here is a shot of the transformers. Ah, I was expecting lay-down Parmekos with chrome covers and preamp tubes through the chassis into the pcb. So, looking at the chassis with the preamp tubes at the front it is different to many early ones I have seen. This is more like my '73 OR120. The early ORST50 has pre-amp tubes in same place whereas the OR100 has them sideways next to the choke and the filter cans on the other side. So both are pretty chunky and similar specs. Thanks for the information Neil.